2011 is the “One Hundred and Sweet Sixteen” Sequim Irrigation Festival. The oldest festival in the state is currently underway, and concludes Sunday, May 15. What a great excuse to drop everything and travel to the Olympic Peninsula this weekend. Experience the 2011 Sequim Irrigation Festival, May 6-15. Logging Show, Truck & Tractor Pull. May 13, 5-10 p.m., May 14, 10-5 p.m.
Strongman Showdown. May 13, 6-8 p.m.
Fireworks. May 13, 9:30 p.m. Kids Parade. May 14, 10 a.m.
Grand Parade. May 14, noon. Carnival. May 13-14 until 11p.m., May 15 noon to 5 p.m. There are several Washington State Wineries close to Sequim on the Olympic Peninsula. 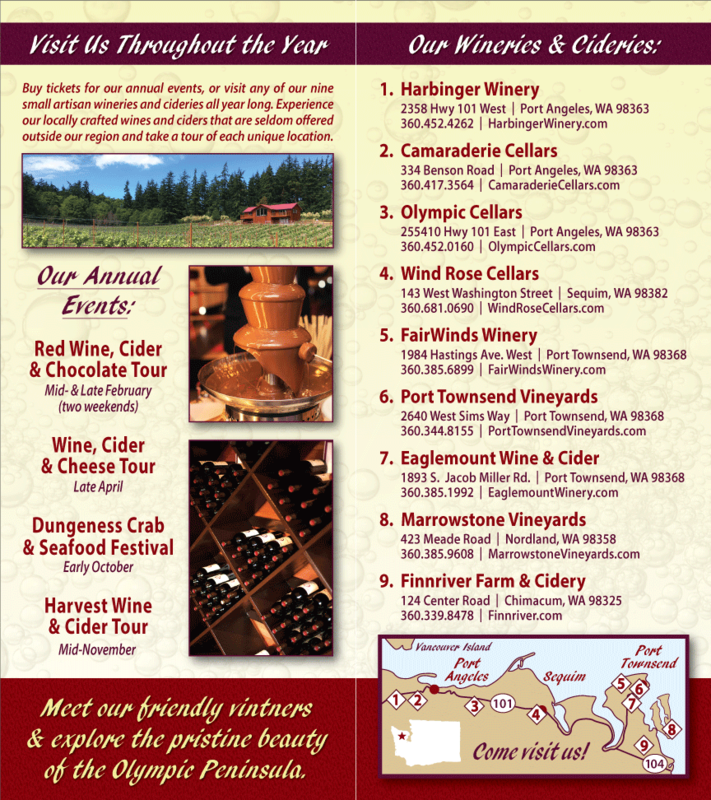 When you’ve had your fill of parades and tractor pulls, slip away to taste locally made Washington wines at one of the wineries in nearby Port Angeles: Olympic Cellars, Camaraderie Cellars, Harbinger Winery, and Black Diamond Winery. As you head home on Sunday, allow time to try Washington wine and hard cider at Finnriver Farm & Cidery or Eaglemount Wine & Cider. The 2011 Sequim Irrigation Festival is a wonderful tradition. Please visit the Sequim Irrigation Festival website for more information.